McKinsey & Company is a global management consultancy that claims to be "the trusted advisor to the world's leading businesses [two thirds of the Fortune 1000 companies], governments, and institutions" on management and related issues. Reference: ‘Our People’, McKinsey & Company, 2011. We are the trusted advisor and counselor to many of the most influential businesses and institutions in the world. We serve more than 80 percent of Fortune magazine's list of the Most Admired Companies. We are a global organization, with more than 90 offices in more than 50 countries. We speak over 120 languages and represent over 100 nationalities. Reference: James O'Shea and Charles Madigan, Dangerous Company: The Consulting Powerhouses and the Businesses they Save and Ruin, Nicholas Brealey Publishing, London, 1999, p. 256. Look at some of the most powerful entities in American business, for example, and the McKinsey influence is apparent. From finance to retail sales, manufacturing to transportation, and on into high technology, McKinsey business missionaries not only whisper and advise at the highest levels, they have a propensity for moving from the consulting world into the executive suite. Reference: James O'Shea and Charles Madigan, Dangerous Company: The Consulting Powerhouses and the Businesses they Save and Ruin, Nicholas Brealey Publishing, London, 1999, p. 259. O'Shea and Madigan point out that, by taking graduates from the top business schools where they have been schooled in business culture, those hiring McKinsey consultants can be sure that they "will be on the same page as the brightest executive the company can present. They will be speaking the same language and sharing the same values as they attack specific problems". Reference: David Hencke, 'Fears over management consultant's role in No 10', The Guardian, 13 June 2005. McKinsey's slogan is that "everything can be measured, and what gets measured gets managed". Reference: Malcolm Knox, ‘The Hard Stuff’, The Monthly, 2 June 2010. McKinsey's reputation soared after publication of its 1982 book In Search of Excellence, which featured case studies of 43 US exemplary companies and sold 5 million copies. According to Malcolm Knox, writing in The Monthly, by 1987 two thirds of these companies "were either in trouble or defunct". Reference: Michelle Celarier, ‘The lowdown on McKinsey’, Euromoney 327, July 1996. McKinsey has been criticised for being fixated with the bottom line and having an overly theoretical, quantitative approach which leads to it advocating "by-the-numbers solutions" that preclude innovation, creativity and taking account of human dimensions. Reference: John A. Byrne, ‘Inside McKinsey ’, Business Week, 8 July 2002. 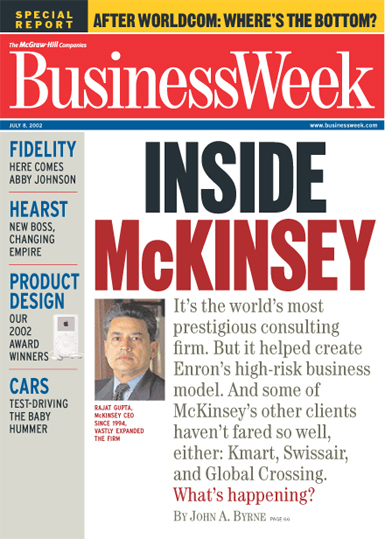 In 2002, Business Week reported that that McKinsey client bankruptcies included Enron, Swiss-air, Kmart, and Global Crossing. Reference: Jamie Doward, ‘The firm that built the house of Enron’, The Guardian, 24 March 2002; Sharon Beder, Power Play: The Struggle for Control of the World's Electricity, Scribe, Melbourne and New Press, New York, 2003. McKinsey is credited with turning Enron from a traditional gas and oil infrastructure company to a major, 'innovative', risk-taking energy trader. In its search for profits Enron explored the lengths to which the commodification of energy could go. 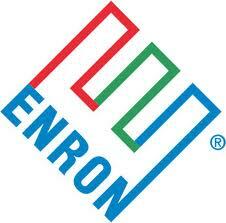 Enron demonstrated that deregulation meant that a company could sell electricity without owning a power station. It sought to make more money speculating on energy markets than it could producing and distributing electricity and gas. many of the underlying principles of Enron's transformation, including its "asset-light" strategy, its "loose-tight" culture, and the securitization of debt, were eagerly promoted by McKinsey consultants. 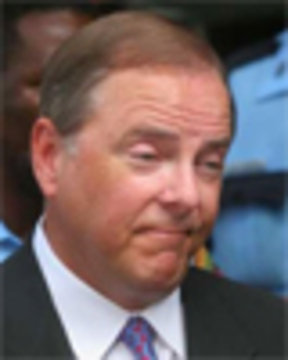 Not only did Enron spend up to $10 million per year on management advice from McKinsey but it appointed former McKinsey consultant Jeffrey Skilling as its CEO. Reference: Jamie Doward, ‘The firm that built the house of Enron’, The Guardian, 24 March 2002. Before its spectacular failure at the end of 2001, Enron was featured in McKinsey literature as an example to be followed, an exemplar of good management practice: "McKinsey was a key architect of the strategic thinking that made Enron a Wall Street darling. In books, articles, and essays, its partners regularly stamped their imprimatur on many of Enron's strategies and practices, helping to position the energy giant as a corporate innovator worthy of emulation." The firm remains the high priest of high-level consulting, with the most formidable intellectual firepower, the classiest client portfolio, and the greatest global reach of any adviser to management in the world. Most of the firm's top clients pay $10 million a year and up in fees, while McKinsey's largest client--which it declines to name--doled out $60 million for its advice last year. McKinsey serves 147 of the world's 200 largest corporations, including 80 of the top 120 financial-services firms, 9 of the 11 largest chemical companies, and 15 of the 22 biggest health-care and pharmaceutical concerns. Reference: Sandra Laville and Nils Pratley, ‘Brothers who sit at Blair's right hand’, The Guardian, 14 June 2005; David Hencke, 'Fears over management consultant's role in No 10', The Guardian, 13 June 2005; 'Nick Lovegrove', Center for American Progress, 2011. Lord Birt (see UK consultants: secondments). McKinsey's Nick Lovegrove was principal author of a 1998 review of productivity and growth in the UK economy, which was said to have influenced the early years of the Blair administration. He was subsequently appointed to Downing Street's new Forward Strategy Unit, advising on media, broadband and transport and he "served as an independent adviser to the UK Prime Minister's Strategy Unit from 2001 to 2005". Reference: James O'Shea and Charles Madigan, Dangerous Company: The Consulting Powerhouses and the Businesses they Save and Ruin, Nicholas Brealey Publishing, London, 1999, p. 17. During the 1990s McKinsey would do its own economic studies of nations such as France, Germany, Brazil and South Korea as a way of getting future business, particularly for governments in developing nations. Reference: Clayton Hirst, ‘The might of the McKinsey mob, , 20 January 2002. Some blame the collapse of Railtrack, a British railway company, on advice from McKinsey, which recommended in the late 1990s that Railtrack "sweat" its assets, that is, replace regular maintenance with a system of fixing things when they break, which led to a number of fatal accidents. Reference: Sandra Laville and Nils Pratley, ‘Brothers who sit at Blair's right hand’, The Guardian, 14 June 2005. The firm has landed contracts worth tens of millions of pounds as Mr Blair increasingly turns to private-sector consultants to drive through change in Whitehall... The new McKinseyites increasingly see sitting at the right hand of the prime minister as their rightful place. Reference: Sally Gainsbury, ‘DH is told 137,000 NHS posts must go in next five years’, Health Services Journal, 3 September 2009; Sally Gainsbury, ‘NHS spending: McKinsey exposes hard choices to save £20bn’, Health Services Journal, 10 September 2009. In 2009 a McKinsey report, commissioned by the Department of Health, recommended that 10 percent of the NHS workforce be cut. The report "says the cut required to full time equivalents for an NHS hospital with a clinical staff of 300 would be: two consultants, one registrar, 10 nurses, 10 healthcare assistants, three allied health professionals and eight non-clinical staff." The report also claimed that £700million could be saved if the NHS no longer performed procedures such as tonsillectomies and varicose vein removal. Reference: David Rose, ‘The firm that hijacked the NHS’, Daily Mail, 12 February 2012. In 2012, documents obtained through Freedom of Information by Tamasin Cave from Spinwatch revealed that McKinsey had paid for NHS regulatory staff to go to lavish events. For example in 2011 former McKinsey man,"David Bennett, the head of NHS regulator Monitor, was flown at McKinsey expense, "business class to New York, where he stayed at a five-star hotel and attended a lavish banquet", even though he will be expected, under proposed legilsation, to regulate multi-million dollar health service contracts with consultants, including McKinsey. The documents also showed that the Health and Social Care Bill includes many McKinsey proposals: "McKinsey’s involvement in the Bill is so great that its executives attend the meetings of the ‘Extraordinary NHS Management Board’ convened to implement it. Sometimes McKinsey even hosts these meetings at its UK headquarters in Jermyn Street, Central London... It has earned at least £13.8million from Government health policy since the Coalition took office – and the Bill opens up most of the current £106 billion NHS budget to the private sector, with much of it likely to go to McKinsey clients. Reference: Jena McGregor, ‘Obama's Budget Watchdog: Nancy Killefer’, Business Week, 7 January 2009; ‘History’, McKinsey & Company, 2011. Much of McKinsey's work for governments has been to prepare for, manage and facilitate privatisation efforts. McKinsey "worked with Germany's Treuhandanstalt, the largest privatization program in the world, to evaluate thousands of state-owned companies in the former German Democratic Republic." Reference: Jyoti Fernandes, ‘Vision 20/20: Blinded by Development’, CorporateWatch, Issue 8, April-May 2002. 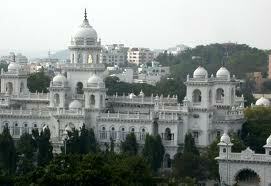 In 2002 the government of Andhra Pradesh in India commissioned McKinsey to devise a development plan for the state. The resulting plan, Vision 20/20, recommneded the modernisation of agriculture including farm consolidation, farm mechanisation, increased use of agrichemicals and genetically engineered crops. It took no account of the social context of the state in which most of the 70 million population were involved in small scale farming andmany would lose their land and livelihoods under the plan. However the plan would be in the interests of large transnational corporations. 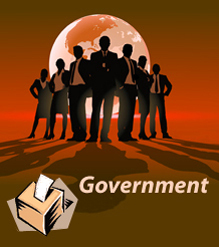 The plan was shelved when the government changed at the following election. Reference: Bad Influence: How McKinsey-Inspired Plans Lead to Rainforest Destruction’, Greenpeace International, Amsterdam, April 2011. "barely acknowledge governance issues within rainforest nations, such as the sheer scale of monitoring, reporting and verification, capacity-building and governance challenges"
"consistently fail to address the major drivers of deforestation, such as mining and logging"
"encourages its client governments to pursue an industry-orientated development path at whatever cost to wildlife"
promotes the "expansion of monoculture plantations into farmland and ecologically important non-forest lands"
Reference: Michael Kinsley, ‘Can McKinsey & Co. Fix the Government?’, Time,15 November 2007. Other government contracts awarded to McKinsey have included the restructuring of the Israel's education System and reform of Carolina's Department of Transportation. Reference: Jena McGregor, ‘Obama's Budget Watchdog: Nancy Killefer’, Business Week, 7 January 2009. In the US, "McKinsey partners are often behind-the-scenes advisers to government officials, but large-scale government consulting engagements are less common", partly because McKinsey charges so much for its services. President Obama appointed Nancy Killefer, a senior partner at McKinsey, to the newly created position of chief performance officer to improve the efficiency of the government. Reference: Malcolm Knox, ‘The Hard Stuff’, The Monthly, 2 June 2010; John A. Byrne, ‘Inside McKinsey ’, Business Week, 8 July 2002. In Australia, McKinsey and KPMG were commissioned to write a report on implementing a National Broadband Network and paid $25million for it. Three former McKinsey consultants were subsequently appointed to the board of the National Broadband Network Company (NBNCo) and another appoint as its head of industry engagement. It may be worth noting that "McKinsey also helped Enron formulate its now-discredited broadband strategy".